Why should Accountancy firms talk to Sharp-aX? 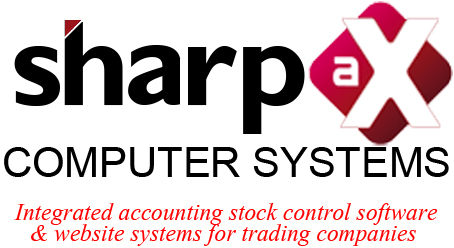 Specialist software provider for trading companies Sharp-aX Computer Systems Limited would like to talk to more accountants about their software. “Accountants are always looking for new ways to help their clients,” commented Sharp-aX Managing Director Jean Freeman. “Our software has been written by our own dedicated team of developers in Hertfordshire. It is the perfect fit for trading companies such as plumbers merchants, electrical wholesalers, builders merchants & Food Wholesalers – anyone who buys and sells on. as well as a comprehensive range of functionality for trading companies.